I started taking a pottery class when my kids were little. I needed something to do that only involved me. I fell in love! I make functional pottery. I make pieces that I would like to use myself. I want to be able to store it conveniently, and to use it and clean it easily. I fire most of my pieces in an electric kiln, but my favorite pieces are wood fired. The wood kiln will take about 20 hours to fire and requires constant attention from lots of people. The idea is to bring the temperature inside the kiln to about 2400 degrees. To do this, wood must be loaded into the kiln roughly every 10 minutes for the duration. It’s a lot of work. And totally worth the effort. There is an element of surprise with every piece. When firing an electric kiln, I can assume the outcome of every piece. Not so with a wood kiln. 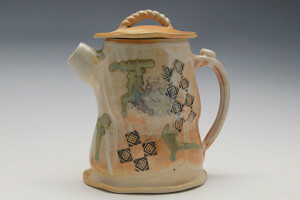 There are so many variables involved that can affect the finished piece during a firing: the moisture in the wood, the temperature in the air, how the kiln is loaded, and where some of the pieces are in the kiln are just a few of the elements that can make a huge difference in the end product. The pots coming out of a wood kiln have a toasted look. Not too many blues, greens and bright colors. There are variations of brown and tan. And always beautiful. 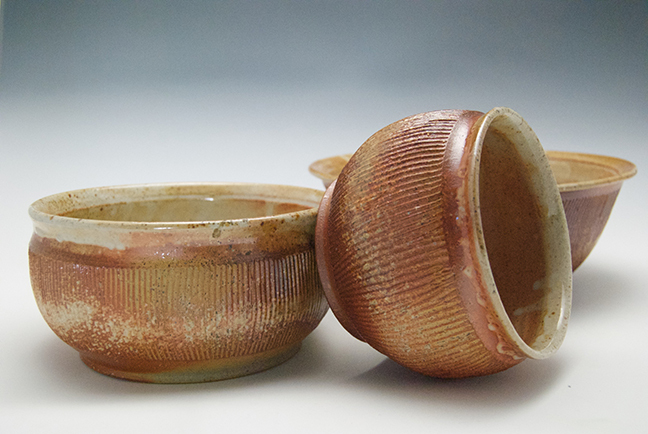 My kids are adults now … and I’m still throwing pots. I’m still in love.